Today I found out the origin of the word “soccer”. For all you out there who love to complain when Americans, and certain others, call “Football”, “Soccer”, you should know that it was the British that invented the word and it was also one of the first names of what we now primarily know of as “Football”. In fact, in the early days of the sport among the upper echelons of British society, the proper term for the sport was “Soccer”. Not only that, but the sport being referred to as “Soccer” preceded the first recorded instance of it being called by the singular word “Football” by about 18 years. This happening when it became more popular with the middle and lower class. When that happened, the term “Football” gradually began dominating over “Soccer” and the then official name “Association Football”. In the 1860s, as in most of history with records as far back as 1004 B.C., there were quite a lot of “football” sports in existence being played popularly throughout the world and of course, England. Many of these sports had similar rules and eventually, on October 26th, 1863, a group of teams in England decided to get together and create a standard set of rules which would be used at all their matches. They formed the rules for “Association Football”, with the “Association” distinguishing it from the many other types of football sports in existence in England, such as “Rugby Football”. Now British school boys of the day liked to nickname everything, which is still somewhat common. They also liked to add the ending “er” to these nicknames. Thus Rugby was, at that time, popularly called “Rugger”. Association Football was then much better known as “Assoccer”, which quickly just became “Soccer” and sometimes “Soccer Football”. The inventor of the nickname is said to be Charles Wredford Brown, who was an Oxford student around the time of Association Football’s inception. Legend has it, in 1863 shortly after the creation of Association Football, Wredford-Brown had some friends who asked him if he’d come play a game of “Rugger”, to which he replied he preferred “Soccer”. The name caught on from there. In the beginning, the newly standardized Rugby and Soccer were football sports for “gentlemen”, primarily being played by the upper echelons of society. However, these two forms of football gradually spread to the masses, particularly Soccer as Rugby didn’t really catch on too well with the lower classes. This resulted in the name switching from “Soccer” and “Association Football”, to just “Football”; with the first documented case of the sport being called by the singular term “Football” coming in 1881, 18 years after it was first called simply “Soccer” or officially “Association Football”. This game then gradually spread throughout the world under the lower class name of “Football”, rather than “Soccer” as the “gentlemen” called it. The problem was though, that a lot of other countries of the world already had popular sports of their own they called “Football”, such as the United States, Canada, Ireland, Australia, New Zealand, and South Africa, to name a few. In these countries, the name “Soccer” was and, in some, still is preferred for this reason. Just as intriguing, for those who like to lambaste American Football being called such when the ball interacts primarily with hands, most of the earliest forms of Football were named thus, not because you kicked a ball with your foot, but because they were played on foot. Peasants played most of their sports on foot; aristocrats played most of theirs on horseback. Thus, games played on foot were called “football”, whether they had anything to do with kicking a ball or not. Indeed, many of the earliest forms of football involved carrying balls in an attempt to get across goal lines passed some opposing team or individual players. In the United States, early on the word “Football” was incorporated in the name for Soccer. The first name of the league was the “United States Soccer Football Association”. This lasted about 30 years before it was shortened to simply the “United States Soccer Federation” in 1975. “Rugby” was also once known as “Football” and originally had almost the same set of rules as Soccer, though over time increasingly diverged. The name “Rugby” comes from Rugby School in England. Legend has it, during a Football match at that school, William Webb Ellis picked up the ball in his hands and ran with it over the goal line. It didn’t count as an official goal, as you weren’t supposed to use your hands; but the referee remarked, it was a “jolly good ‘try’”, which, according to legend, is where that particular Rugby scoring term comes from. The official Rugby Union was then formed in 1871 with a split in 1893 forming the Rugby League. The earliest known record of a Soccer-like sport was in 1004 B.C. in Japan. There are also many references to Soccer-like sports in 50 B.C. China, even being played between teams from China and Japan. The Romans also played several types of Football games, including some that resembled Soccer. One of which was also included in the Roman Olympic Games. This particular version, in the Olympic Games, featured 27 men a side. The game was so rough that 2/3 of the players had to be hospitalized after the game. The last genuine leather soccer ball used in the World Cup was the Adidas Tango Espana, used in the 1982 World Cup. Shortly thereafter, in 1986, the first fully synthetic World Cup soccer ball was used. 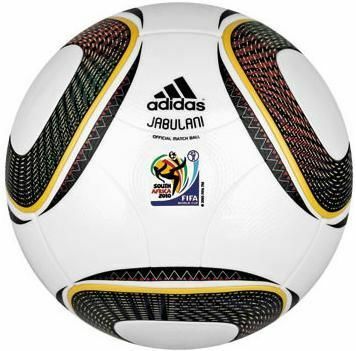 The designers of the Adidas Teamgeist, used in the 2006 World Cup, claim that ball was the roundest ever made for a sport. He wasn’t the only British monarch that hated football. Queen Elizabeth the First “had football players jailed for a week, with follow-up church penance”. King Henry IV and Henry VIII also passed laws against football sports. American Football was originally known in England as “Start-Stop Rugby with Padding”… Catchy.